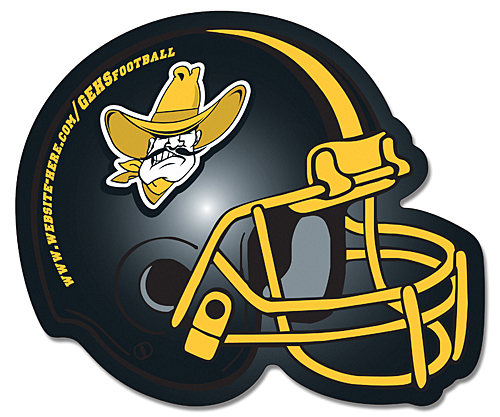 Football helmet shape magnets keep your message in front of your clients. Perfect for schools, universities, colleges, booster clubs, service contractors, pet care professionals, computer services, real estate professionals, insurance agents, restaurants, pest control services, heating & cooling services, medical care professionals, announcements, etc. 4.25 in. x 3.5 in. Magnets come standard with stock football helmet art.